The Hindu Goddess Durga (whose name is derived from the Sanskrit, meaning the inaccessible) is known as the supreme goddess. Goddess Durga is said to be the mother of Ganesha, Kartikeya, Saraswati and Lakshmi. 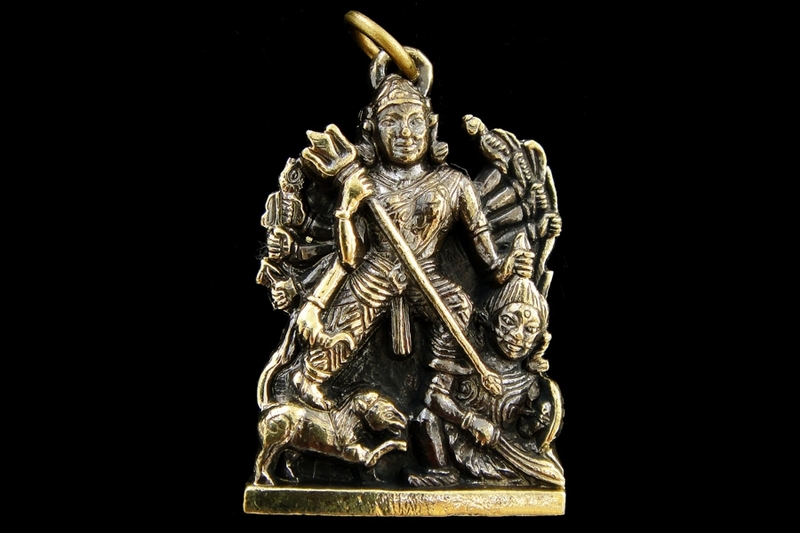 Durga is normally depicted as a warrior woman with multiple arms, with a lion or a tiger. She carries weapons and assumes mudras, or symbolic hand gestures. She is considered the embodiment of feminine and creative energy (Shakti). 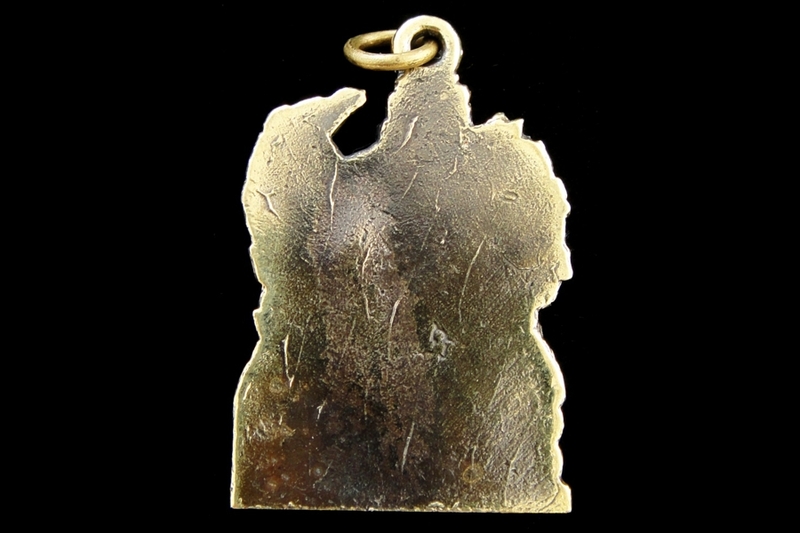 Our brass pendant is shaped nicely and measures about 1-3/8 inch high (including the hanging hole) by about 1 inch wide. 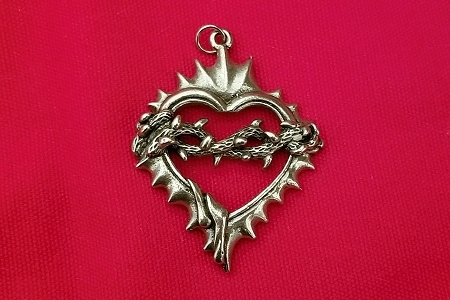 The back of the pendant is plain.